There is nothing like the taste of a juicy, Hawaiian pineapple straight from the garden. My neighbor grew this one and gave it to me to photograph and then to eat! 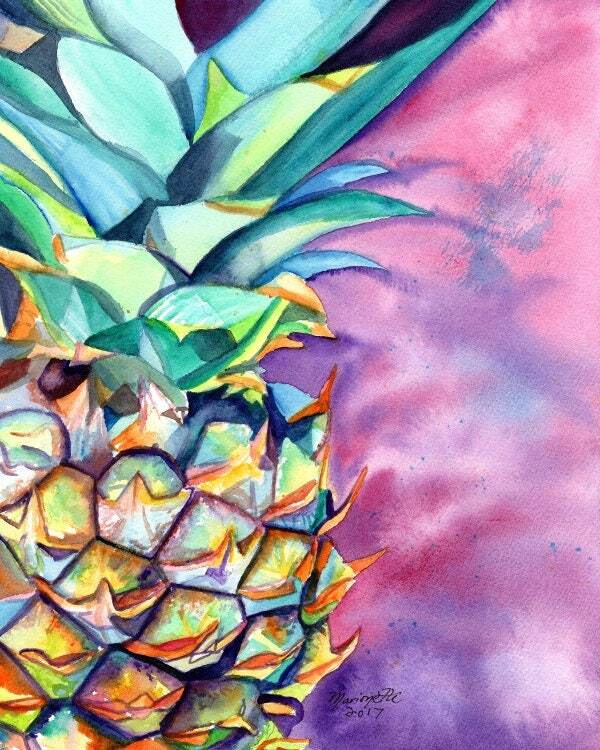 "Kauai Pineapple 5" This giclee print is signed by the artist and is printed with archival inks on radiant white watercolor paper. It is a reproduction of an original watercolor painting and comes packed in a clear sleeve with a backing board (unframed). Colors may vary slightly from monitor to monitor.